The LENS™ wireless technology is a new way to manage safety. 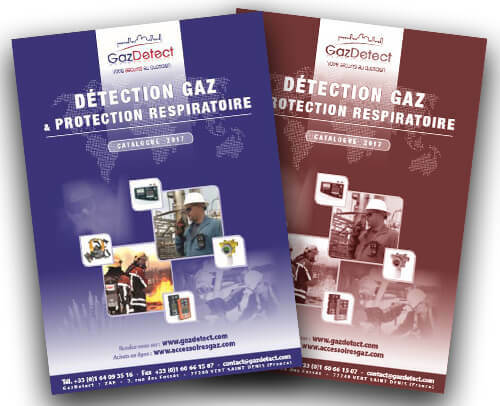 Thanks to this technology, when an area gas monitor or a wireless gas detector triggers its alarm following a gas hazard, a « man in distress » signal or a panic situation, every connected unit will be instantly aware of the hazard. If any gas detection equipment enters its alarm mode (because of a gas presence, panic button activation or isolated distress with the man down integrated detector), any people equipped with a wireless connected unit will be instantly warned. The purpose is to reduce the decision chain in order to act fast in case of an important risk. The LENS™ wireless technology is a particularly well-suited solution for confined space entry applications. The Radius® area gas monitor will be used as a communication relay: with an area monitor at the bottomof the well and one on the surface it will be easy to link other wireless gas detector users on the surface to the ones working underground. 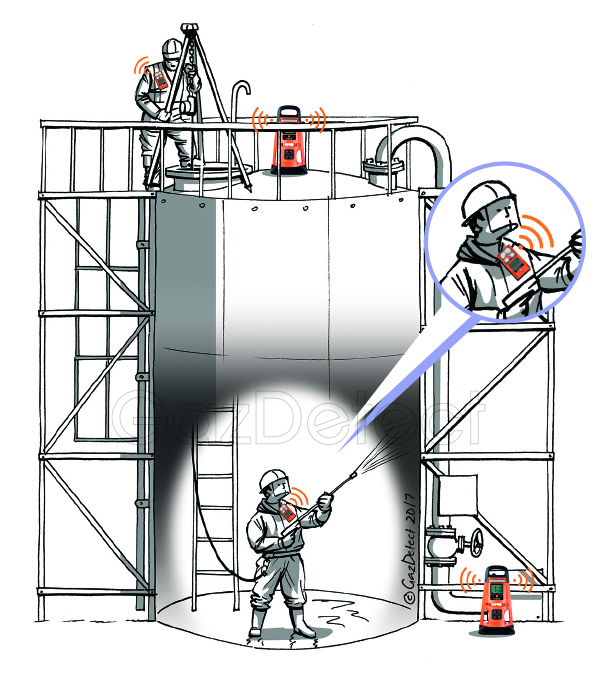 After performing sample tests before any intervention, people who will perform the confined space entry just need to pair their wireless gas detection portable devices to an area gas monitor. In case of alarm or panic button activation, surface teams are instantly alerted and are warned about the hazard type in order to quickly and safely evacuate. In case of a particularly deep well, it will be possible to use several area gas monitors to relay up to 1500 meters (see next paragraph « Tunnel works »). 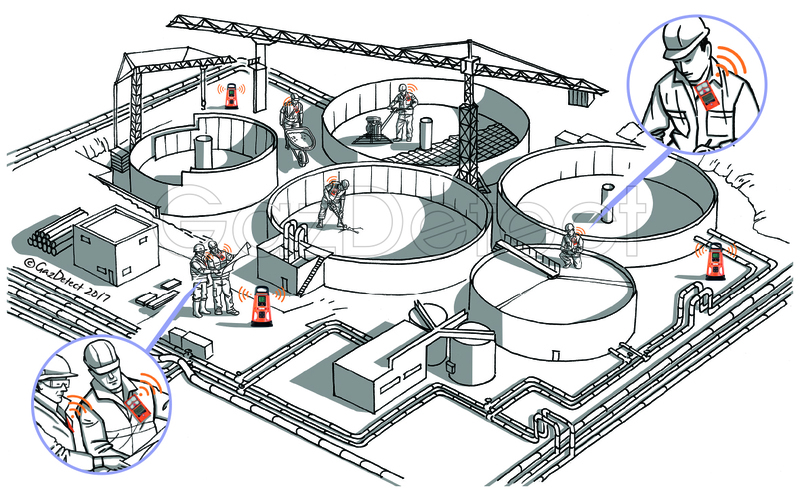 Particularly adapted in tunnels, a wireless gas detection through the LENS Wireless system can spread up to 1500 meters thanks to frequency hopping between devices: the maximum distance between two compatible devices is 300 meters. pipes are instantly alerted about any hazard that could occur to other teams. Thus they are able to act quickly and safely. Building large facilities involves several types of specific hazards. Contrary to the confined space entry, the outdoor work implies wind direction and risk of toxic or combustible gas displacement. 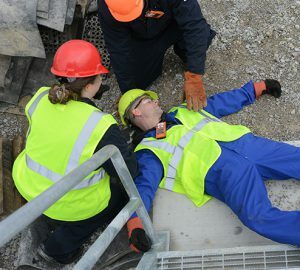 Once a hazard is detected, every worker is alerted and can double vigilance to avoid any accident.